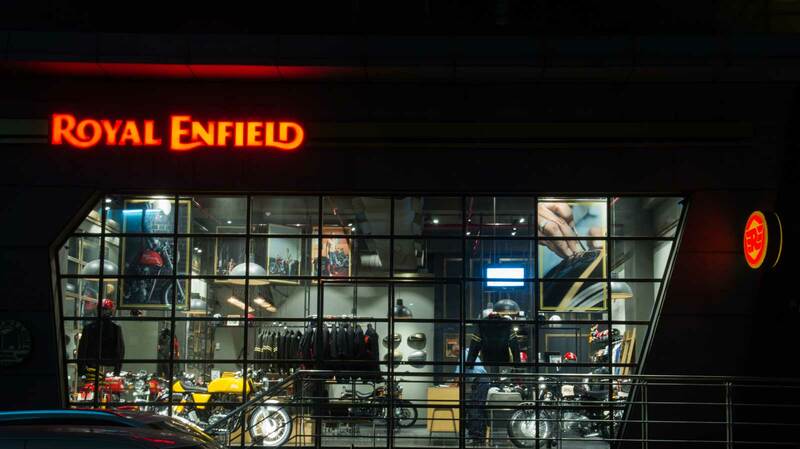 Royal Enfield has built its brand around the idea of a motorcycle lifestyle and riding simply for the pleasure and exhilaration it creates. 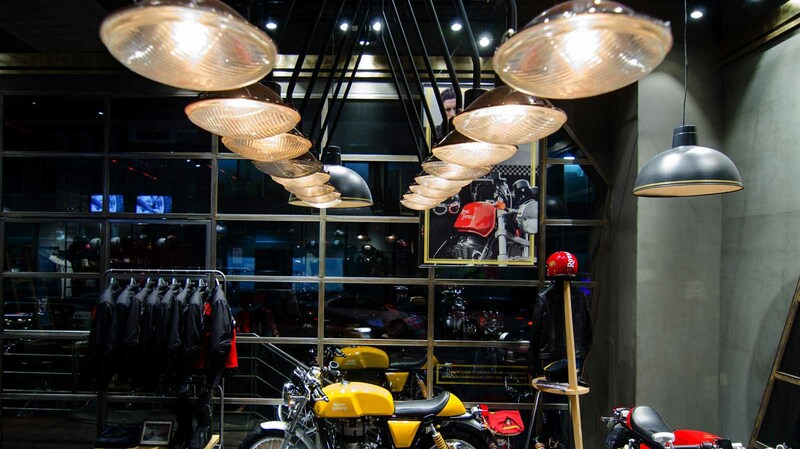 The lighting design for the store seeks to create an ambience not about uniformity of light, but about the seductiveness of the bike itself. The lighting is used to create visual drama, subtly highlighting key focal points, and creating a touch of sparkle to show off the curves of the bike. 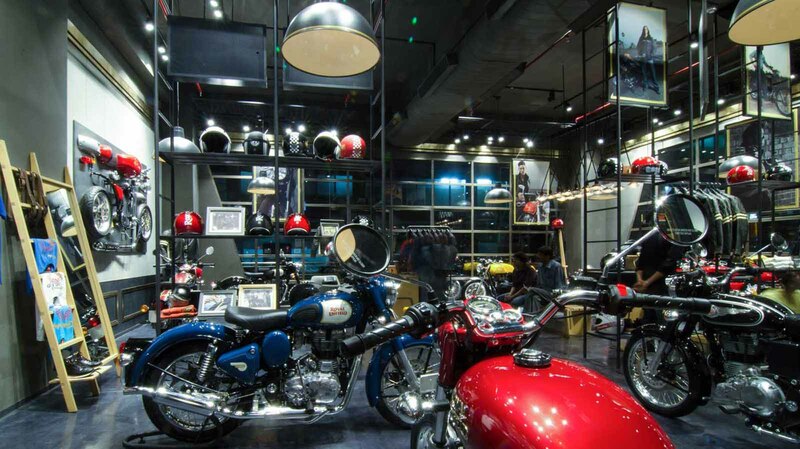 The lighting augments the machinery and components of the bike, while creating the required ambience.